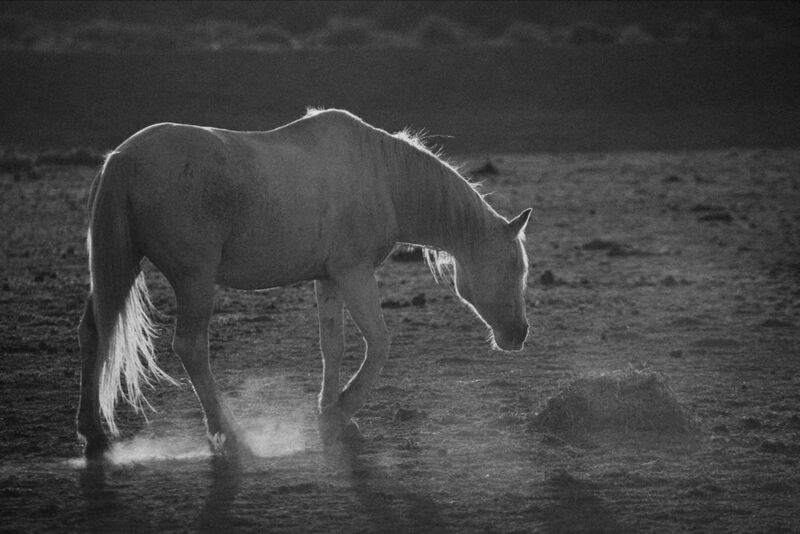 A mono version of this moment with the Camargue Horses. Light and dust. Saintes Maries de la Mer, Camargue, France, Europe.